A new tunnel film recycling scheme is providing UK growers with an alternative solution for recycling tunnel film. In recent years, significant quantities of film were shipped to China for recycling, but this outlet recently closed when the Chinese stopped accepting used film. To help fill the gap created, RPC bpi horticulture has teamed up with Haygrove to develop a UK-based recycling scheme. This scheme recognises the fact that growers have a need for a local sustainable solution that will not come with a cost to their bottom line. The recycling scheme aims to ensure that film manufactured in the UK (and sold to UK markets) is also recycled in the UK. For the first three years of the scheme, RPC bpi will collect full loads of all makes of tunnel film for recycling. At the end of this period, it is hoped that the scheme will be recycling only film made in the UK by RPC bpi horticulture. This timescale affords growers the opportunity to recycle any existing films of non-UK origin. 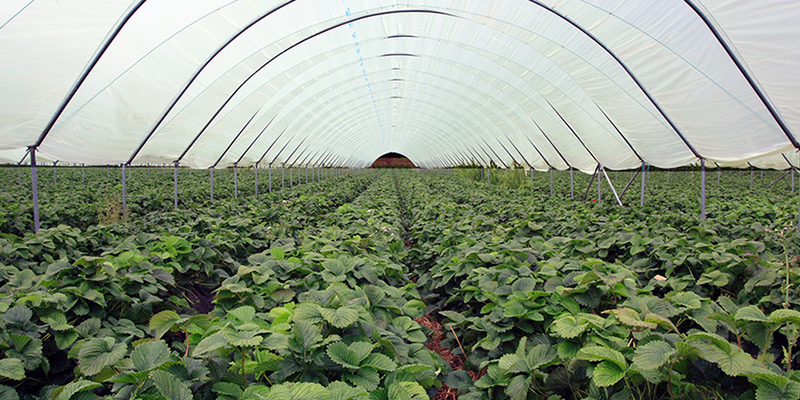 Modern tunnel film can add significant value to growing operations through delivering enhanced crop quality and yield. So, it is good to know that at the end of its primary lifecycle, tunnel film can continue to add value by being recycled into a host of useful applications including crop grow bags, compost sacks and damp proof membranes.